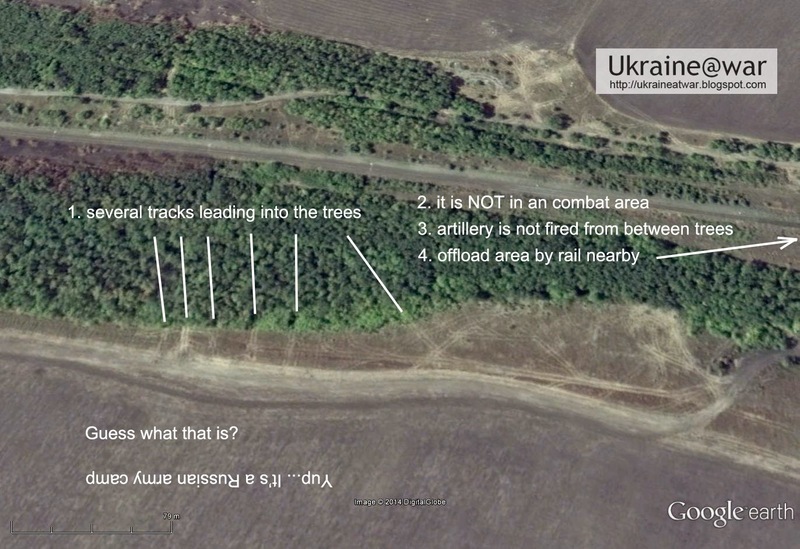 In this blog I wrote about and analyzed the Russian attack on Lugansk Airport that was captured by satellite images on August 31st. 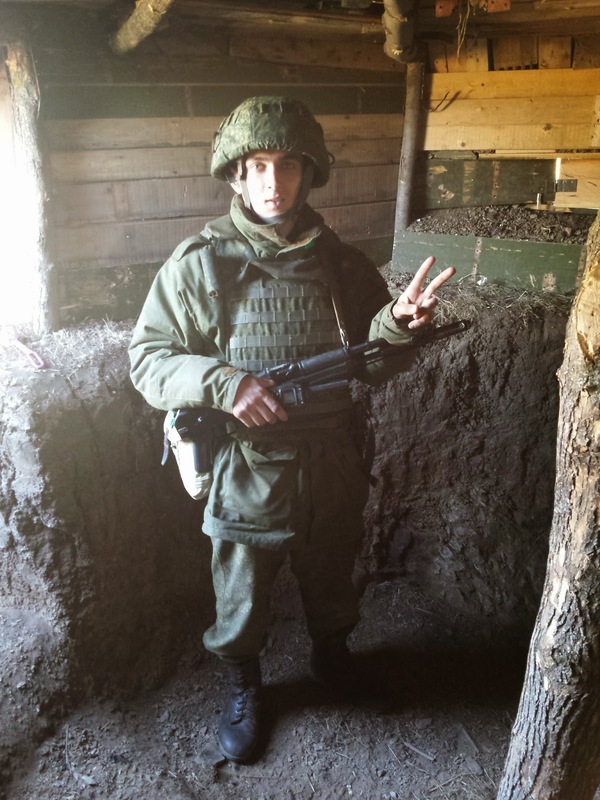 The presence of substantial Russian forces in Ukraine must mean that they have camps there too, since such an offensive does not take place just one day. 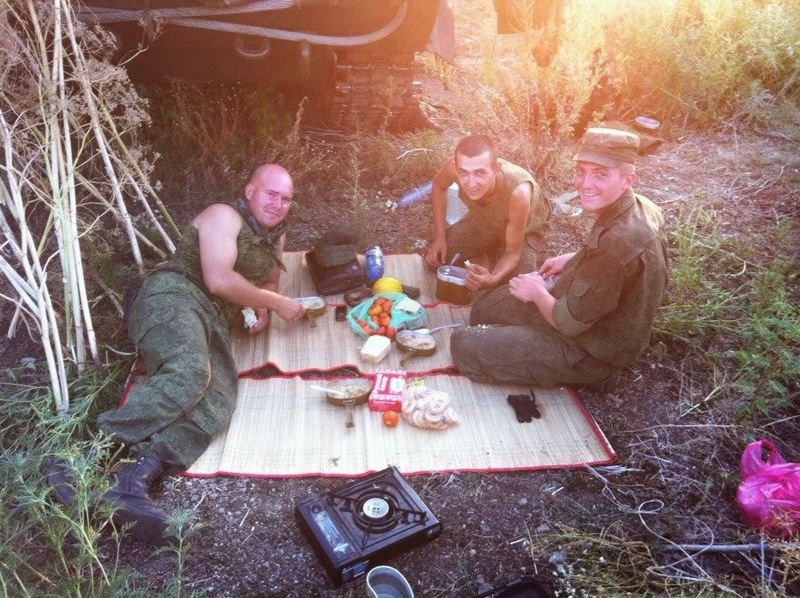 And of course the whole army does not go back to Russia to spend the night there. So there must be camps out there!!! We just see some tracks in and out the trees. For the rest nothing. As you can see, at close examination, there is even a tent visible and to more objects that are impossible to identify. 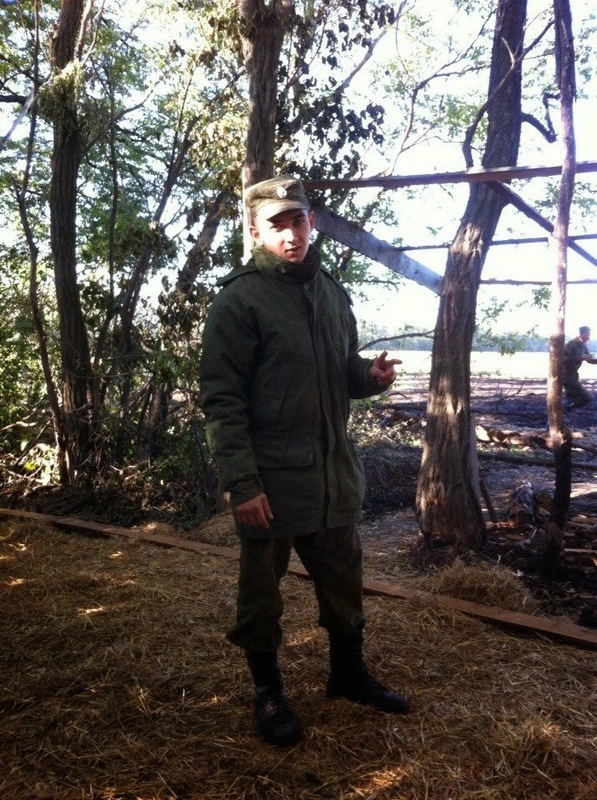 Here are photos from one of these soldiers VK-album. That's how a base looks like 50 kms from the border. Next to the border or IN Ukraine, camps have to be VERY well hidden, camouflaged and protected, because there is always a risk of an attack. It's a small place, but it counts too. 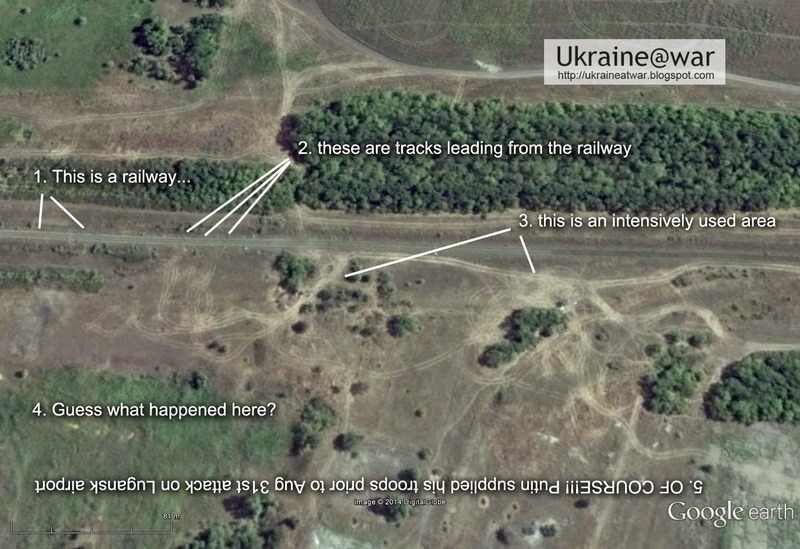 Likely in front of the area there are numerous tracks. Basically there are two areas with campments and some smaller ones scattered around. Also there are 2-3 offload areas next to the railway through which supplies (and/or troops) have come. In the top of the image the city Lugansk can be seen. It means the back parts of the camp will be hidden by the slope of the hill. The front parts may have a look on Lugansk. All the green parts show tracks. Intense tracks can be seen all around, but it is unlikely that they camp here. it probably is a lookout point. 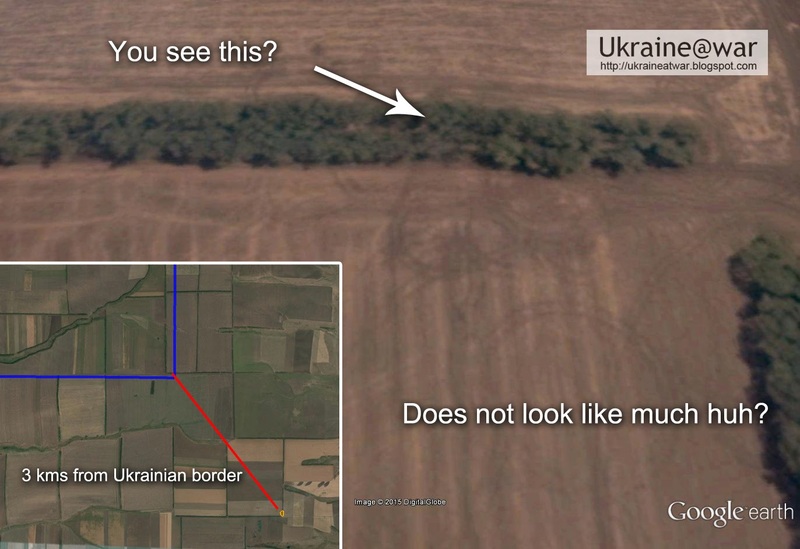 On closer inspection on with comparison of on older image, two camouflaged vehicles can be seen. This might be a radar. This might be an air defense unit, as they tend to position these in the open. Why is this camp located here? 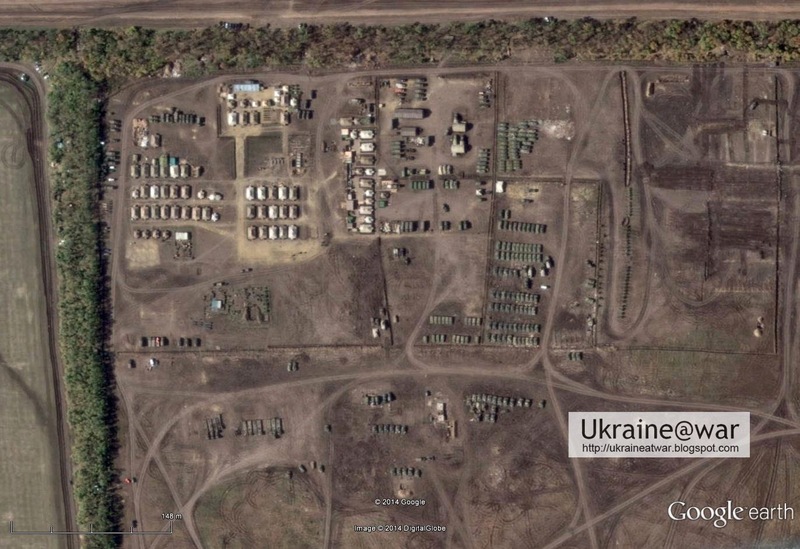 This camp protected the only supply route into Lugansk. 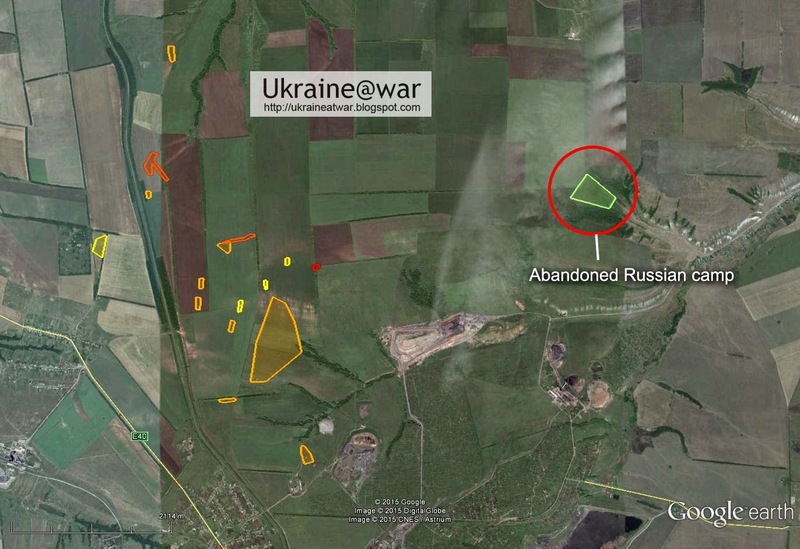 From there the Russians could drive to battle positions and fence the Ukrainians off to close the gap. 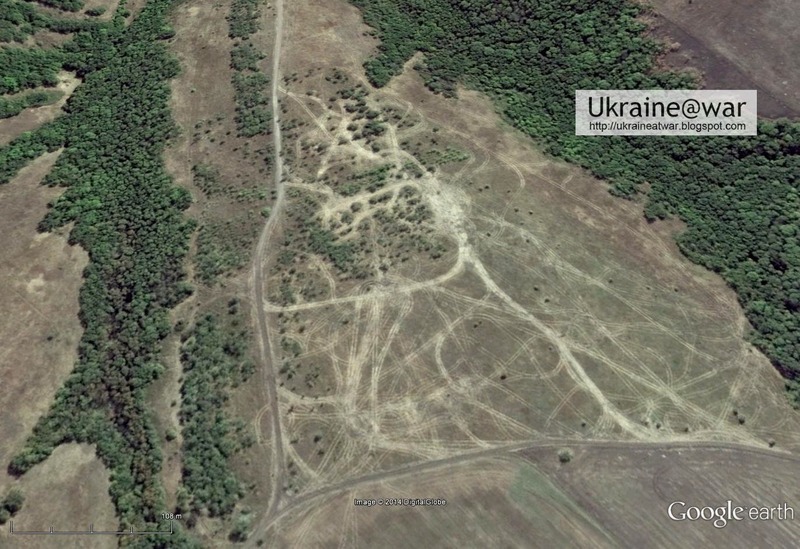 But it never got to the point where the Ukrainians could conquer this position and no battles had been taken place there. But, because several vehicles can be seen and since there must be more unseen in the tree, on August 31st parts of it are still operating. As can be seen it is smartly positioned on and around a hill. At the red positions vehicles can be seen. It does not look spectacular, but it still is some 400 meters by 600 meters with locations between the trees everywhere. All the other green areas are more of the same kind. There are strange things all around there. I have no idea what it is! My best guess would be ammunition boxes. Again several of these 'boxes'. But the front two positions look like dugin vehicles. Though the pictures is not very clear. The second red area again has the same 'boxes' and maybe one vehicle. Either this is a radar or maybe an S-300 air defense with erected launchers? On the last image something else appears nearby and a car can be seen, but that may be a coincidence of course. So it must some kind of mining operation. 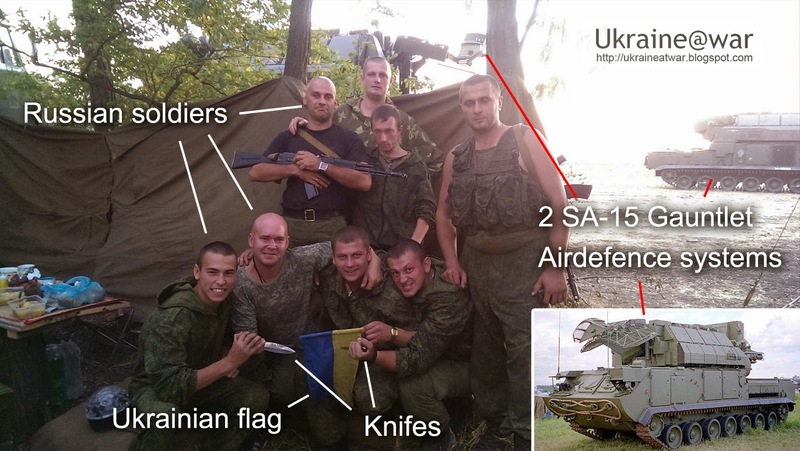 First congratulations on the great job documenting this covert war Russia is conducting on Ukrainian territory. I agree with most of your conclusions. I just want to note that the use of S300 strategic air defense systems is highly improbable. This air defense system is an overkill for a mission like the Ukranian campaign as they are designed to engage a full fledged air and missile (cruise and ballistic) mass attack from NATO (remember how the US and Israel got really worried when the possibility of Iran buying such system come to light some years ago? That meant that Israel could no longer hit the nuclear plants with impunity). Systems like the Buk or similar are much more suitable for the kind of targets it will face (Migs, cargo planes, helicopters and small drones).